AUCKLAND, New Zealand -The United States has completed its draw down of the surge forces committed to Afghanistan in December 2009, Defense Secretary Leon Panetta announced Friday. During a visit to New Zealand, where he thanked his hosts for their military contribution to the NATO-led force in Afghanistan and expressed his condolences for five New Zealand soldiers killed there last month, Panetta issued a statement saying the surge had completed its objectives. The surge had seen U.S. forces in Afghanistan increase by 33, 000 troops and had succeeded in reversing Taliban momentum on the battlefield and struck enormous blows against the Al-Qaida leadership, he said. "It is important to underscore that even as our surge troops return home, there are roughly 68,000 Americans who remain in a tough fight in Afghanistan, alongside their NATO and Afghan partners. We are a nation at war. 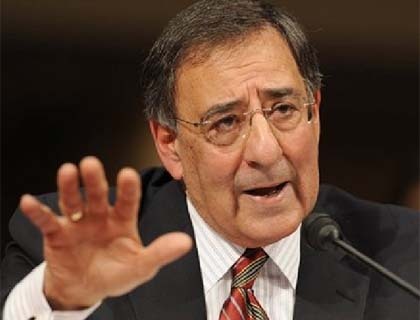 But the international community is also strongly united behind our shared strategy to transition to Afghan security control, which will be completed by the end of 2014," said Panetta. The statement came the same day that the New Zealand Defense Force (NZDF) announced its final contingent of personnel to Afghanistan would depart for a six-month deployment on Sept. 25. The contingent, made up of personnel from 2nd/1st Battalion Royal New Zealand Infantry Regiment and supporting units, would be the 21st rotation to serve in the New Zealand Provincial Reconstruction Team (NZ PRT) in Bamyan Province, said a statement from the NZDF. Also Friday, Panetta announced the ban on New Zealand navy vessels visiting U.S. ports has been lifted after almost three decades. Panetta, the first U.S. Defense Secretary to visit New Zealand in 30 years, announced the move in Auckland after talks with New Zealand Defense Minister Jonathon Coleman and Foreign Affairs Minister Murray McCully. Panetta said New Zealand was a true friend of the United States and the two countries would strengthen their relationship, and part of that would see New Zealand Navy ships in U.S. ports, Radio New Zealand reported. The ban on New Zealand navy ships was highlighted in July when the United States refused to allow two New Zealand navy vessels entry to the military port at Pearl Harbor, Hawaii, for the world's biggest maritime military exercise. The New Zealand vessels were the only ships out of 42 vessels from 11 of the 22 countries taking part in Exercise Rim of the Pacific (RIMPAC) to be excluded from docking in Pearl Harbor. Panetta's visit follows the signing of the Washington Declaration defense cooperation agreement between the two countries, in talks between Coleman and Panetta in June. The Washington Declaration enhanced cooperation in key areas that New Zealand and the U.S. had been working on closely together over the past two years: maritime security, including counter- proliferation, counter-terrorism, and anti-piracy. It also set out cooperation for humanitarian assistance and disaster relief in the region, and promoted peace-keeping and peace-support initiatives. Military links between New Zealand and the U.S. have been warming since November 2010, when U.S. Secretary of State Hillary Clinton and McCully signed the Wellington Declaration, which outlines fields of cooperation between the two nations, including climate change, renewable energy, trade, security and economic development.